Ambiguity is all-important in this absorbing insight into Kim Philby’s early activities; entirely fitting for an exploration into the intrigue of international espionage. This slim novel is narrated like a kiss-n-tell unauthorised biography, with events being revealed through the words and deeds of Philby’s contemporaries. Many of the episodes and escapades have the ring of historical verisimilitude about them… yet the whole book is one giant ‘what if?’ It all feels perfectly plausible, such is author Robert Littell’s skill at blurring the boundary between actual events and imaginary happenings. Similarly, this is one of those books which hoodwinks the reader as to its ultimate destination. For the first half I spent most of the time admiring the historical detail and the fast-change cast of characters, who parade onto the stage, tell their snapshot of the story and then exit the limelight. Philby himself is always at the centre of the story but – once again, entirely appropriately for a spy – he’s also always slightly out of focus. Each interpretation of his early career adds more colour to the picture but very little clarity. We follow Philby from Cambridge to Vienna where he married an Austrian communist; then to the Spanish Civil War; onwards to shadow the British Expeditionary Force at the start of WW2, and all the while his tradecraft skills develop and he becomes increasingly accepted by the British establishment. We meet Philby’s Soviet controllers and his fellow Cambridge spies; we eavesdrop on NKVD and KGB interrogations and the purges of The Great Terror, and we briefly encounter that rising CIA star, James Jesus Angleton. The brilliance of this book is that none of this is told in the stuffy tones of a history textbook. Instead the plot romps along with bawdy eccentricity, indulging in all sorts of explicit extra-curricular activity with a huge dash of story-telling panache. Every episode of Philby’s life adds complexity and uncertainty to the overall story, veering from gleeful subversion to sexual indulgence to sinister menace as the pages turn. 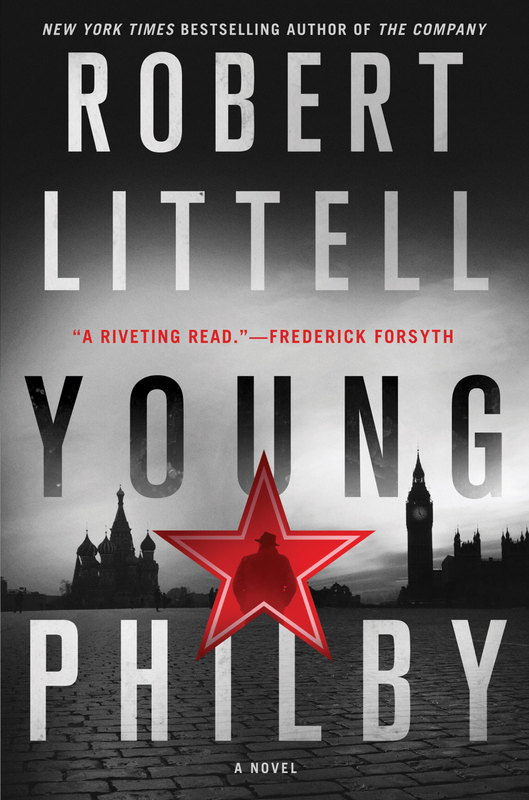 Even though we know the historical facts, Littell still creates an atmosphere of tense uncertainty; a genuine cliff-hanger moment where all could be undone by the whim of a dictator. And then the smartest part of the whole book bounced out and slapped me in the face in the final chapters. You’ve just got to read it to appreciate it. So, a very different type of espionage thriller. One to entertain people who are fascinated by tradecraft and by subtle secrets. Not a Bourne Ultimatum or a 007 shoot-em-up, but something infinitely more thought-provoking. Thanks for the review, Rowena. I’ve got his big tome, The Company, which is knowledgeable about the CIA, so I reckon I might be getting this one too!.